Try out our new online booking form and get a FREE goody bag. The UK's leading provider of business phone systems... communications made easy. Who agrees that your business CCTV & security system should be a top priority? Choose a support & maintenance package that will give you peace of mind. We pride ourselves in providing a high standard of customer care. With our highly trained & experienced engineers, together with our professional & friendly support team, we make sure that you can rely on us to be there for you when you need us. We’re certified by some of the leading suppliers in the UK. We hold an ISO Quality Management accreditation, we’re approved as an NHS supplier & we’re authorised & regulated by the FCA, ensuring that you can count on us to deliver an excellent service. We’ve been at the forefront of this ever evolving industry for over 25 years. With our award winning state of the art systems, highly trained engineering team and our focus on providing excellent customer service, you’ll wonder why you didn’t come to us earlier. Take advantage of the latest telephone system features available. 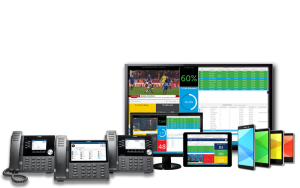 Whether you’re looking for a phone system for 1-10 users or 40+ users, we can help to find a suitable solution that can benefit your business for years to come. We cover everything from phone system hardware, software, installation, support and maintenance. We're an approved supplier for the NHS and are trusted by medical centres, GP surgeries & CCGs across the UK. Our phone systems feature a full host of options such as intelligent call queuing, call recording, patient software integration & much more. We provide business mobile phone contracts with a difference. As well as providing deals from all the major networks – O2, Vodafone, EE & 3, we also have our own MVNO mobile network – CHECK MultiNET. Try us out with some FREE SIM cards. We're partnered with the UK's leading network supplier, which gives us the advantage of being able to pass on savings to our customers. Start saving on your monthly overheads and get peace of mind, knowing that your comms are being looked after. State of the art, fully admissible and a training tool like no other. MiVoice Call Recording & Quality Management enables your organisation to capture, archive, organise, playback and share voice data to get valuable insights into your business communications. We supply, install & maintain the latest in high definition IP CCTV systems that make a real difference to the security of your business. With an exemplary reputation in the industry, we are renowned for the expert provision of SIP, ISDN, IP, ethernet, mobile, cloud and CCTV & security support. Choose first class support and maintenance services for your telephone & CCTV systems. We’re all about great customer service and innovative solutions. 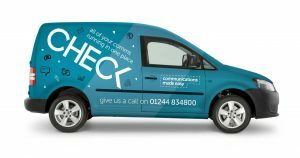 "I would recommend Check to anyone - they have never let me down, are always quick to respond and over the past five years have actually approach me several times with new cost savings - which is really unusual. Don't mess around with other providers, choose Check Comms." "I would whole heartedly recommend Check to another Practice. The solution is suitable for Primary Care anywhere in the country." Are you ready for the BIG ISDN SWITCH OFF? Order a FREE information pack which includes an ISDN Switch OFF Guide. Copyright © 2018 Award Winning Provider of Telephone Systems, Maintenance & Support, CCTV & Security | North West | North Wales | UK | All rights reserved. Leasing options available – please ask. | Telephone system and CCTV system training available – please ask. Check Group & Check Medical are trading styles of Check Communications Ltd.